Early sales are racing for this year’s proof American Buffalo gold coin. The U.S Mint’s 1-ounce, 24-karat gold piece scored 4-day sales of 12,001 coins, the quickest start in six years. The tally is more than double the sales of last year’s edition through its first four days. Actually, it took more than three months for the 2015-dated coin to even hit the 12,000 level. 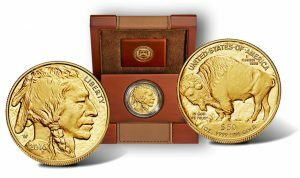 Following several months of unavailability and with the launch of this year’s coin, the U.S. Mint officially pulled the trigger and stopped selling the 2015-W $50 Proof American Gold Buffalo. Ending sales of 16,591 coins mark a mintage low for the size. *In 2008, the U.S. Mint offered four sizes of proof American Gold Buffalos as well as four-coin set with each size. Breakouts are 11,060 for the one ounce; 4,366 for the one-half ounce; 5,322 for the one-quarter ounce; 11,081 for the one-tenth ounce; and 7,803 for the four-coin set. As an aside, the U.S. Mint in 2013 issued a special edition 2013-W Reverse Proof Gold Buffalo that celebrated the centennial anniversary of the coin’s design. It ended with sales of 47,836. 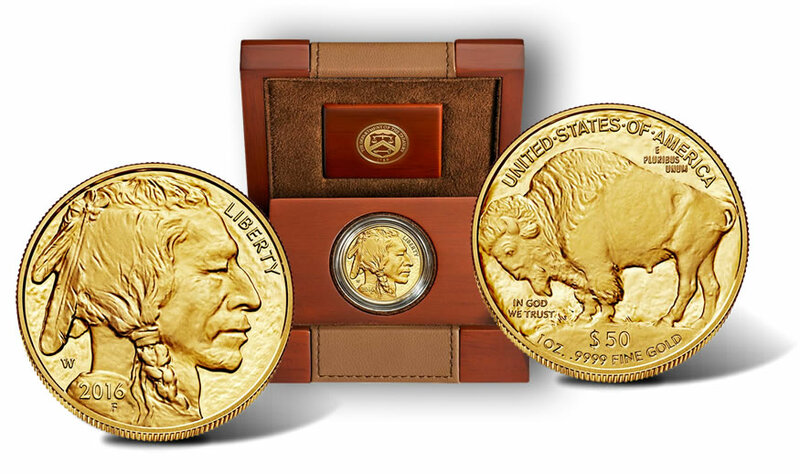 This article was edited to include the final audited sales of the 2015-W Proof Gold Buffalo. The U.S. Mint adjusted its sales from 16,592 to 16,591. Counterfeit prooflike gold American Buffalo & gold American Eagles dated 2015 & 2016 in 1-ounce sizes in very deceptive counterfeit NGC holders are showing up at coin dealers shops (starting in Ohio 2 weeks ago) & at coin shows. The coins look polished & have the grades as MS-70 & MS-69. Call NGC in Sarasota, Florida for further information. Buyer beware. Numismatic News had a good article on what to look for on the fakes vs the real thing, with photos. Yes. Coin World newspaper had great photos too on their website of these counterfeits & counterfeit NGC slabs. I missed out on this due to the centennial series and spending on those instead. Somewhat wishing I would have gotten one. I still may on the secondary market. That design will forever be a classic. There is a typographical error in the table above regarding the 2016-W American Gold Proof Buffalo’s issue date. It was March 31, 2016 instead of “March 31, 2015(sic)”.